Sensoji Nishi-sando Street (浅草寺西参道) is a shopping district located as the west-side entrance of Sensoji Temple. This shopping district is specialized for all Samurai properties, such as sword, cloth and all other props for Samurai showcase and movies. Most of the shops close on weekdays. It has about 150m long and there are many stores which mostly for the tourist gift shops. Not only there are many Kimono, yukata and samue shops, but also there are many samurai costume, matsuri costume and ninja costume for showcase and movie. 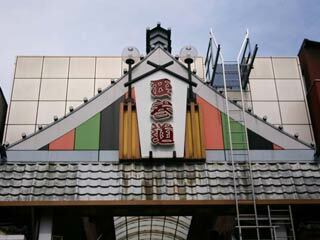 Asakusa Hanayasiki is located right next to Nishisando Street. You can enjoy Ninja show from the street.